John Bunker Sands Wetland Center is part of the East Fork Wetland Project, in the Trinity River basin near Seagoville. The late John Bunker Sands recognized the importance of wetlands to the total environment and began restoring and developing man-made wetlands in 1980. 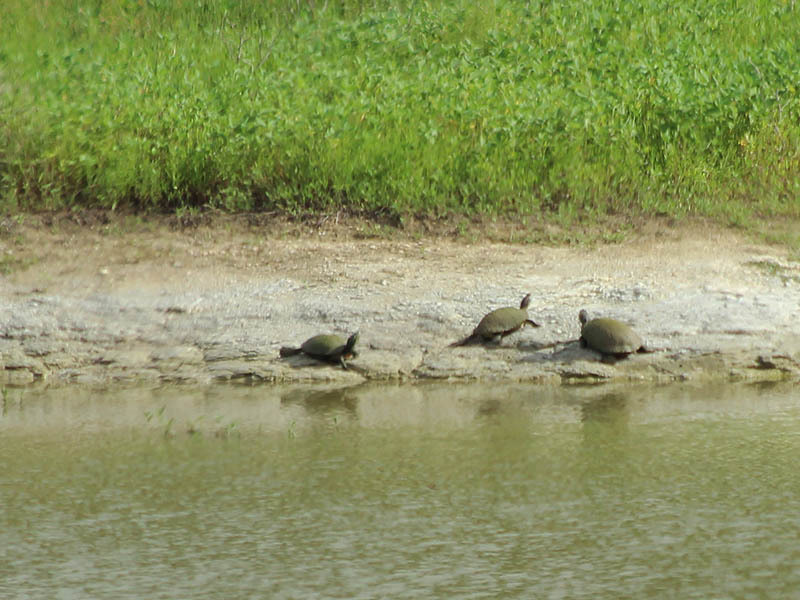 Bunker’s primary concern in the creation of the wetlands was the health of the habitat and wildlife. 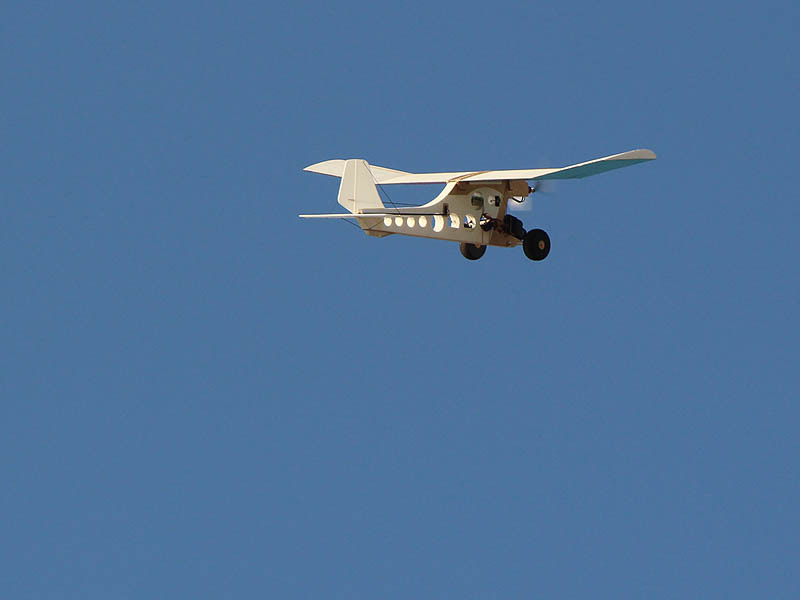 The wetlands provide beneficial values such as a habitat to migratory birds; short-term, high-quality grazing for livestock; and emergency fodder during periods of drought. They also supply an annual crawfish harvest. The wetlands include shallow-water seasonal emergent wetlands, shrub swamps, and flooded bottomland hardwood forests. 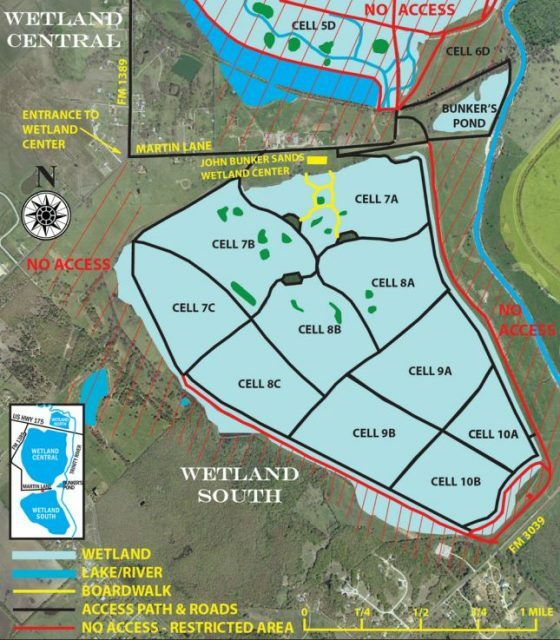 Today 1,840 acres of land, part of the Seagoville Ranch, is being used by the North Texas Municipal Water District to clean and process water drawn from the adjacent East Fork of the Trinity River. The water is diverted into the wetland and eventually pumped to Lake Lavon, supplying water for 1.6 million residents in North Texas. The Wetland Center educates the public and provides research opportunities in water quality and supply, wildlife management, and wetland systems. It is open to the public on the first and third Saturday of each month. 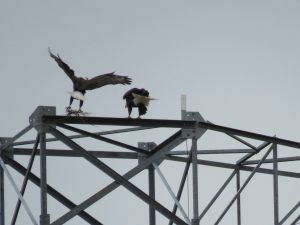 A pair of Bald Eagles began nesting on an electricity tower at the center in 2011. 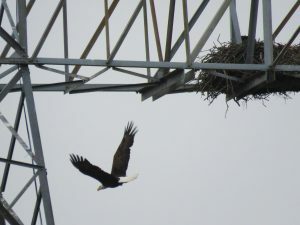 The nest was relocated to a new tower in 2014 as it was too close to a high voltage line for safety. 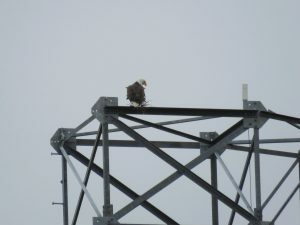 The entire lower arm was re-attached to the new tower, including the 200 lb nest. This provides a safer nesting area and the Eagles have returned to the relocated nest every year since it was moved. My wife and I first visited the Wetland Center in late February last year – Shannon had never seen a Bald Eagle despite living here all her life and she was surprised to hear that they could be found in North Texas at all. I had never seen one either so were were delighted to observe an interesting sequence of events at the tower – the male Eagle brought sticks for the nest but the female rejected them so he dropped the sticks and flew away (apparently it’s usually the female who puts the sticks into the nest and she can be rather picky about what goes in there!). 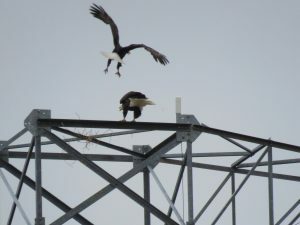 This year we planned to visit the Wetland Center after the first Bald Eagle egg hatched as we thought we might spot some different behavior from the Eagles. Saturday 4th March turned out to be the first opportunity as one of the Eaglets had arrived just two days before. I wanted to shoot video so we were a little disappointed that the skies were overcast that morning. The center is only open to the public on two days each month so we decided to take a chance and go. It turned out to be the correct decision – the Eagles were active and despite the poor weather there was a good variety of other wildlife to be seen. 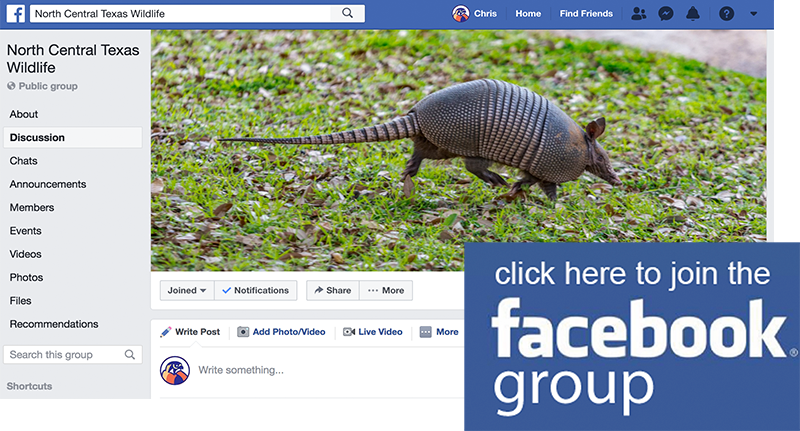 Turn on Annotations on YouTube to see the wildlife labels in the video.